It is with very heavy hearts that we are writing to you today. We received the devastating news that our beloved Director/Stage Manager, Ron Nash, has passed away. Ron and his husband Norman are very dear to us and have joined us on many adventures over the years. Ron’s death was very sudden and so shocking that it seems surreal to us that he is gone. Good bye, dear friend. We love you—your happy spirit, magnificent creativity, and brilliance will certainly be missed. Your passing has created a void in so many who have the privilege of knowing you, but your kindness and wonderfulness will never be forgotten. Our love and deepest sympathies go out to Norman. PS—below is Ron’s official biography, which shows but a sampling of all the great work that he did. RON NASH lists among his directorial and design credits national tours of Song of Singapore starring Loretta Swit, The Wiz starring Peabo Bryson and Grace Jones, Murder Among Friends starring Lana Turner, Tammy Grimes, and Arlene Dahl, Janus starring Joan Fontaine, Dreamgirls starring pop vocalist Mikki Howard, The Best Little Whorehouse in Texas starring Stella Parton, and Under Milkwood starring Judith Light. He directed a new production of Shirley Valentine starring Loretta Swit in Toronto. Mr. Nash also co-directed the Broadway production of Oh! Calcutta!, which ranks as the fifth longest running musical on Broadway, as well as productions in Tokyo, Oslo, Tel Aviv, Milan, Buenos Aires, Caracas, Rio de Janeiro, Toronto, and Chicago. Mr. Nash has been a Production Stage Manager on Broadway for 12 years, as well as with the New York Shakespeare Festival for 7 productions. 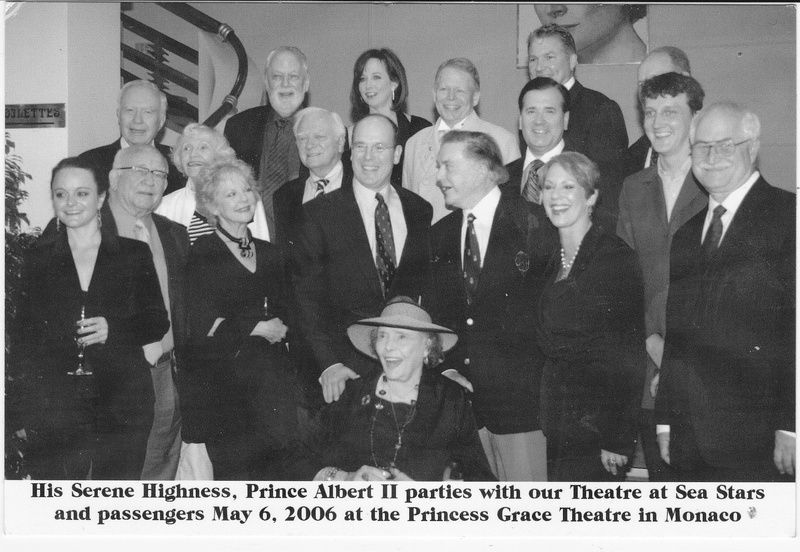 Mr. Nash also directs and coordinates productions for the Theatre Guild’s cruises on the Mediterranean and the Amazon, with celebrities such as Helen Hayes, Patrice Munsel, Claire Bloom, Patricia Neal, Anne Jackson, Eli Wallach, Alan Arkin, Sandy Duncan, Cliff Robertson, Judy Kaye, Zoe Caldwell, Lynn Redgrave, Jean Stapleton, Carol Channing, and Gena Rowlands. 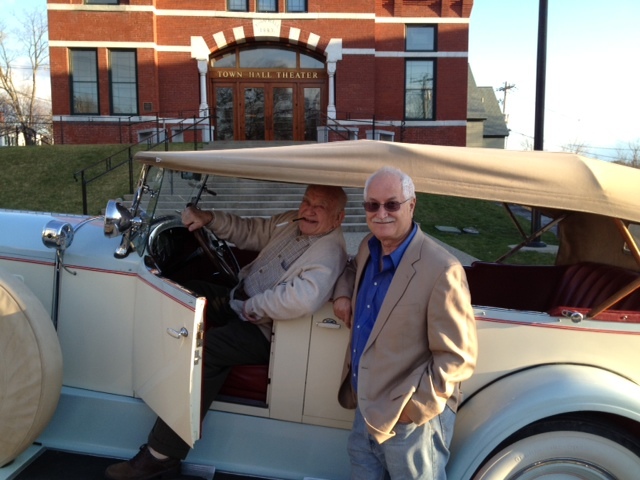 He directed 5 time Emmy Award winner Ed Asner in FDR and toured with him to over 150 American cities. He toured for 3 years with both Jean Stapleton and Loretta Swit in different productions of Eleanor: Her Secret Journey. He served as Artistic Director at the Forestburgh Playhouse, in which capacity he directed over 25 shows including A Christmas Carol, The Sunshine Boys, Deathtrap, Witness for the Prosecution, 1776, On Golden Pond, Driving Miss Daisy, Ragtime, Titanic, The Tale of the Allergist’s Wife, The Diary of Anne Frank, Miss Saigon, West Side Story, South Pacific, Dial M for Murder, Born Yesterday, Carousel, Brighton Beach Memoirs, Broadway Bound, M. Butterfly, The Night of the Iguana, The Chosen and Equus. Since 2014, he has lived in Las Cruces, New Mexico with his husband Norman Duttweiler and has guest lectured at New Mexico State University and guest directed a local production of The Laramie Project. Mr. Nash holds an M.F.A. from Carnegie Mellon University and is a member of Actors’ Equity and the Society of Directors and Choreographers. As we mentioned in an earlier post, our newest play, Me & Jezebel, played for two nights in Las Cruces, NM to rave reviews! We are so happy that the audiences loved Loretta and Norman and that the benefit shows (for the Las Cruces Community Theatre) was a huge success! As we head into the holiday weekend, we wanted to share this great photo with you! Back into The Swing of Things! Wow—what a crazy few weeks! 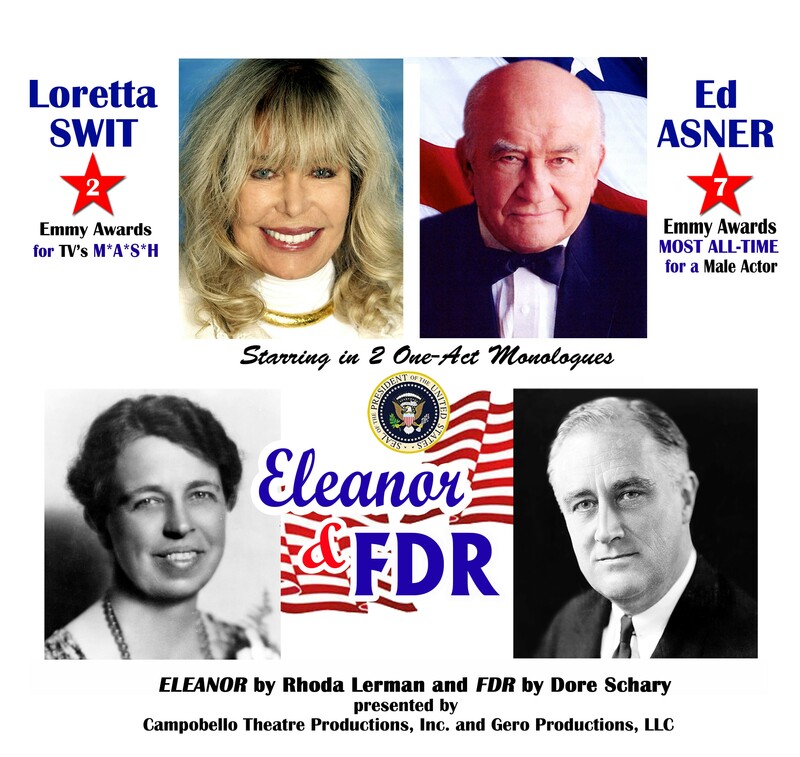 We returned from our lovely vacation with our family and launched right into preparations for our latest performance of Ed Asner in FDR. It was in Cape Girardeau, MO on October 8th. We received the following letter from the Assistant Director with whom we were working and thought we’d share how well everything went! “I must say the audience – myself included – loved the piece. This is a fantastic play; it moved many people to tears. It made me realize that just reading about world events isn’t enough. Seeing “FDR” (the man) on stage, feeling his emotion, hearing his urgency – even terror – directly from the Oval Office at a time before I was born, brought a new dimension to history. Mr. Asner is, absolutely, the nicest person I’ve ever met this side of the footlights. He’s the only actor I’ve known who was interested in talking about something besides himself. I’m sure you’ve heard this before, but he is just such a nice guy – and that is high praise coming from me. I also enjoyed working with Ron Nash. I don’t spend a lot of time hanging out backstage, but the short visits before and after the show with both Ed and Ron were so enjoyable. Despite the hectic schedule and all the travel, both were true gentlemen. It’s obvious they have worked together for a long time and get along well. It was a most relaxed and congenial atmosphere. I want to thank you for helping me bring this show to Cape Girardeau. It’s the most enjoyable evening I’ve had in a long time. A BIG Thanks to Ed and Ron for making it such a great night! For those of you on the East Coast (or interested in theatre history), we are continuing our tours of top Summer Theatres in the US. We started with the first one, which opened in 1927—The Cape Playhouse. Today we are visiting another summer theatre—The Forestburgh Playhouse, which has just announced the show line-up for next season—that happens to be its 70th season! Click here for 2016 schedule! Nevertheless, by July 8, 1947, enough work had been done to transform the barn into a theatre, and the Forestburgh Playhouse, then called the Forestburgh Summer Theatre, opened its first of more than 250 subsequent productions, Blithe Spirit.